They’ve long been established in their careers. Some are wealthy. Others not so much. Some are looking to make a career leap – or change. Others retired. For them, the learning never stops. Nor do they want it to. That’s one reason online learning is taking off across the country. For adults of all ages, of all trades, professions and demographics. As more universities create online learning programs, Purdue University’s College of Engineering is offering a pilot program for alumni. 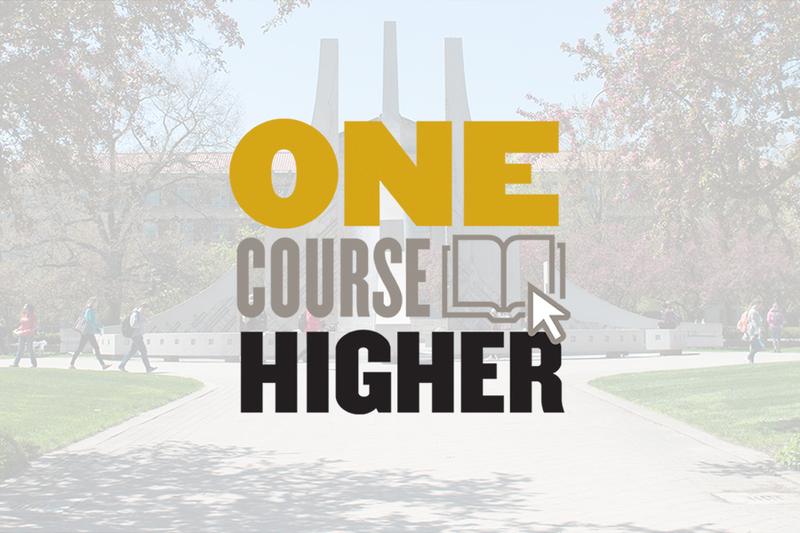 During the September 22 Purdue Homecoming, which kicked off the university’s sesquicentennial birthday celebration, 150 years of Giant Leaps, the college introduced its One Course Higher program. It is free, available for life and available to the 90,000 engineering alumni from the West Lafayette campus. The online courses are non-credit. Course material is available by videotaped class sessions on the main campus that students are taking for credit. The program is thanks to a partnership with the Purdue’s University Development Office and Purdue Online Learning. Online learning fits into Purdue Moves, a set of university initiatives to provide transformative education, world-changing research, STEM leadership and affordability and accessibility. It’s also in line with Purdue’s mission as a land-grant university to provide opportunity for traditional and nontraditional students. An evolving digital library of online educational content is available in One Course Higher. This collection includes courses that were only in tuition-based online degree programs but now becomes available for alumni free of charge. Currently, there are eight selections. Preclinical and clinical study design. Purdue Engineering has been offering distance learning options for 60 years and has evolved to become an integral partner of Purdue Online Learning. The online master’s in engineering program is consistently ranked among the Top 5 by U.S. News & World Report. New tracks have been recently launched, including online badges co-developed with industry such as the Intel-Purdue badge in Design for Security. Visit One Course Higher for more information.